Starting out in HVAC can be hard from finding that first job to buying all the tools you will need. Many heating and cooling tools are not cheap and buying them all at one time can be a big investment. Keep in mind that depending on who you work for some tools may not need to be bought. For example if you get a job in a government position such as a County job or a School District job then you may not have to buy many tools. Most of us HVAC technicians are not lucky enough to get a government job so buying tools will be most often required. Some tools I would put off buying, and I will list them separately, if you are new to HVAC things such as a recovery machine or refergant scale may be too much. Buying a recovery machine is also over kill when you are starting out and many shops likely will have a recovery machine you can borrow if needed. Everyone will have a different experience and will all depend on the company that first hires you. 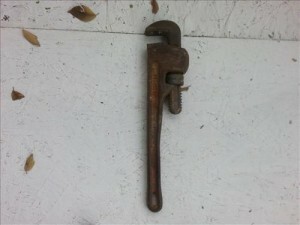 The tools needed will also depend on your position such as installer, service technician, or sheet metal work. You will need a cordless drill when starting out. 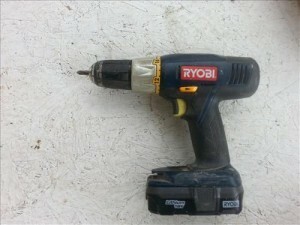 I wouldn’t go for a expensive brand at first unless you can afford it, something like Ryobi is a good starter cordless drill. 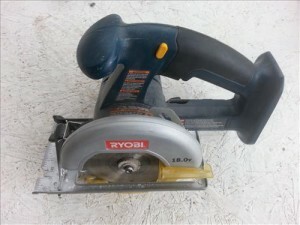 I use Ryobi as a backup and they work quite well. Dewalt is also a good name brand. Whichever brand just be sure to get a 18 volt cordless and not a 6 or 12 volt drill. For an installer saws will be crucial to getting a job done in a timely manner and they make life easier, everyone needs at least one. Both a Sawzall and a Circular saw are recommended, but in a pinch a Sawzall can cut pretty much anything you come across with the right blades. Whichever brand of cordless drill you decide on should also be the same brand of cordless saws. Keeping batteries charged is always on the mind, there is nothing worse than being in the field and having dead batteries, so more the better. Plus cordless batteries go bad so it makes sense not to mix brands too much when it comes to cordless tools. A tape measure will also be needed. Don’t go for anything fancy here, tape measures get stepped on, kinked, and just don’t last long. 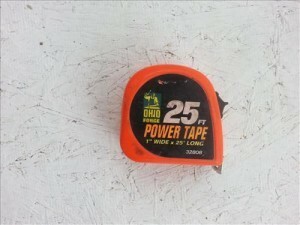 Get one short ten foot tape measure for quick jobs and one longer 25-30 foot tape measure for those longer measuring distances. 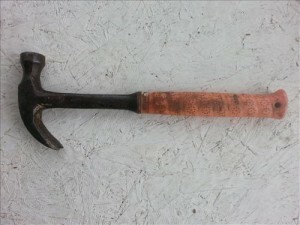 Metal fabricators will use many different type of hammers to do metal work but most everyone else can get by with a basic hammer. 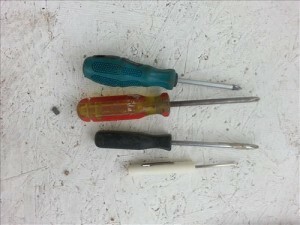 Both phillips and regular screwdrivers of all size types will be used. You can go from using a large screwdriver to pound out a hole in sheet metal, to replacing a thermostat which uses very small drivers. 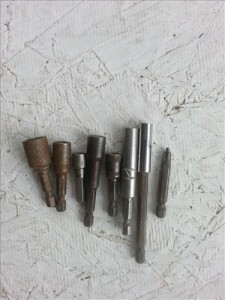 Different bits will be needed to use with a cordless drill, buying a whole set of these is recommended. Phillips screwdriver, 1/4 inch, and 5/16 will be the most used but you will run into all kinds of different sizes, try to get magnetic tips if you can they make life easier. 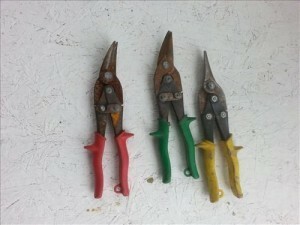 A good set of wire cutters. There is a lot of wiring in HVAC. Pipe wenches are mainly used when installing or replacing gas lines. Having two is a good idea as gas lines often take two when tightening up a line. 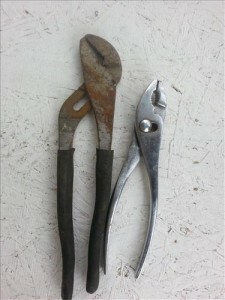 There are three types of tin snips left cut, right cut, and straight cut. Installers and sheet metal workers will used these a lot, but even service techs will need a set. 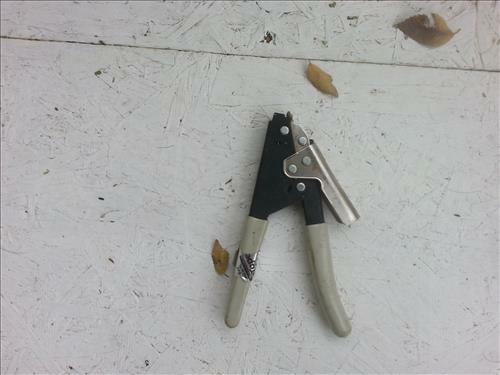 Tin snips are a necessary part of HVAC as there is a lot of duct work involved with tin often needing to be modified. 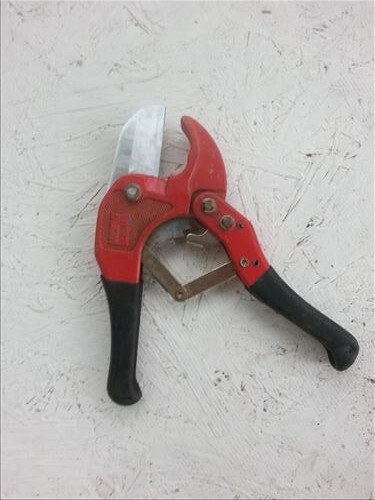 At least a basic set of pliers will be needed. 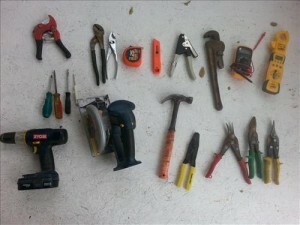 A decent tool bag is a good idea. 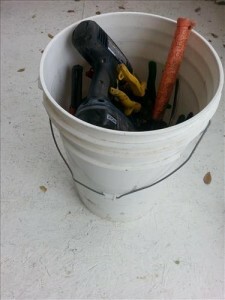 I use a good tool bag when I do service work, but if I have to do an install I simply use a old five gallon paint bucket as it is easier for me to tie a rope on the handle and pull up on a roof and just toss everything into it when done. 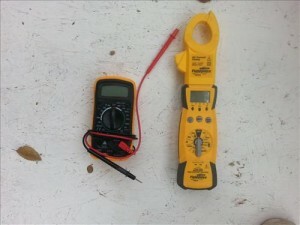 If you are doing service work a HVAC multimeter will be needed to troubleshoot units. For someone who is only going to be doing install work, then a basic multimeter will be fine as you will only be checking for voltages. There are many available that come in all shapes sizes and price ranges. One of my favorites is the Fieldpiece HS33 which works great and also comes with an optional Amp Clamp making it easy to quickly see if a motor is Over-Amping or similar. It has been around for awhile which means the price has come down drastically making it a good starter HVAC meter in my opinion. Buying a extension cord is a good idea. 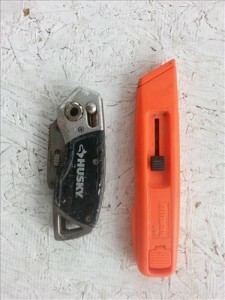 They are cheap and come in handy from charging cordless batteries to using power tools when needed. 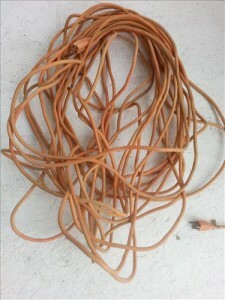 Just try to keep your extension cords a little more untangled then mine. A good utility knife will be used a lot. I like the kind I can carry on my side but it is just a personal preference. If you are doing installs then you will definitely need a strap gun. If you are doing service or metal work then you can leave it out for now. 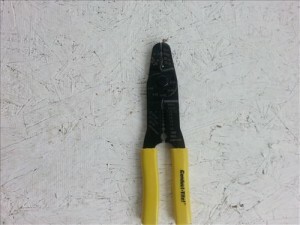 A PVC pipe cutting tool makes life easier when you have to run or replace PVC and they are cheap, so I would suggest getting one. These are cheap and are used a lot. This one I almost didn’t put down as most shops will have ladders, so don’t rush out and buy one just keep in mind they will be needed and used a lot. Thank you for this well discussed list of tools and right away , I will start buying them bit by bit . 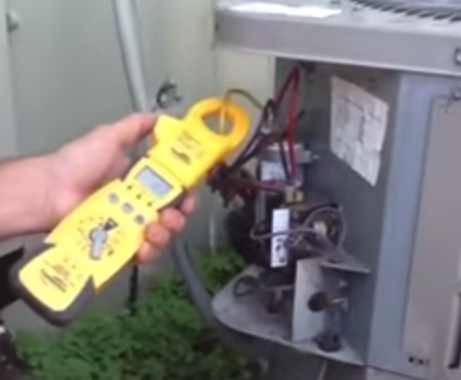 This was very helpful, as a new learning hvac tech I know I have a lot to learn( I have over thirty years a mechanical field tech – in all types of equipment including coke and pepsi vending machine. But , none in refrigeration. Thanks for the list very helpful!! !